Why or Why Not Foreign Law Firms In India? The observations of Bacon and Russell are under trial for the past two decades, eversince the case against the foreign law firms has been running since 1995, after Ashurst, Chadbourne & Parke and White & Case opened up liaison offices in India but were accused for contravening the Advocates Act by practicing law in India. The matter was referred to Bombay High Court, titled as Lawyers Collective vs. Bar Council of India and others (W.P No. 1526/1995). The judgement was delivered on December 16, 2009, by Chief Justice Swatantar Kumar and Justice J.P Devdhar. One of the main arguments of the foreign law firms was that the Advocates Act covers only litigious practice in court but not advisory work pertaining to foreign law in India. The court overruled this argument and said that the expression ‘to practice the profession of law’ in Section 29 of Advocates Act,1961, is wide enough to cover the persons practising in litigious and non-litigious matters, and therefore to practice in non-litigious matters in India, the respondents (foreign law firms) were bound to follow the provisions of Advocates Act. As such, the functioning of foreign law firms in India is illegal because they are not enrolled under Advocates Act, 1961. Another related verdict in the aforementioned case is of High Court of Judicature at Madras, in A.K Balaji vs. Government of India and others, in which the Bench of Chief Justice M.V. Eqbal and Justice T. S Sivagnanam on February 21, 2012, observed, “We find force in the submission made by the learned counsel appearing for the foreign law firms that if foreign law firms are not allowed to take part in negotiations for setting up documents and conduct arbitrations in India, it will have a counter productive effect on the aim of the Government to make India a hub of International Arbitration. According to the learned counsel, many arbitrations with Indian judges and lawyers as Arbitrators are held outside India, where both foreign and Indian law firms advise their clients. If foreign law firms are denied entry to deal with arbitrations in India, then India will lose many of the arbitrations to foreign countries. It will be contrary to the declared policy of the Government and against the National interest. In its judgement the Hon’ble Madras High Court observed, “It is reported that in several cases of International Commercial Arbitration, foreign contracting party prefers to arbitrate in India and several reasons have been stated to choose India as the seat of arbitration. Therefore, when there is liberalisation of economic policies, throwing the doors open to foreign investments, it can not be denied that disputes and differences are bound to arise in such international contracts. When one of the contracting parties is a foreign entity and there is a binding arbitration agreement between the parties and India is chosen as the seat of arbitration, it is but natural that the foreign contracting party would seek the assistance of their own solicitors or lawyers to advise them on the impact of the laws of their country on the said contract, and they may accompany their clients to visit India for the purpose of the Arbitration. 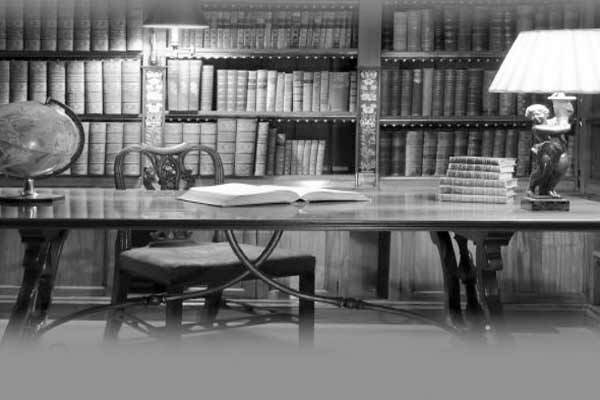 Therefore, if a party to an International Commercial Arbitration engages a foreign lawyer and if such lawyers come to India to advise their clients on foreign law, we see there could be no prohibition for such foreign lawyers to advise their clients on foreign law in India in the course of an International Commercial Transaction or an International Commercial Arbitration or matters akin thereto. Therefore to advocate a proposition that foreign lawyers or foreign law firms can not come to India to advise their clients on foreign law would be a far fetched and dangerous proposition and in our opinion, would be to take a step backward when India is becoming a preferred seat for arbitration in International Commercial Arbitrations. i) Foreign law firms or foreign lawyers can not practice the profession of law in India either on the litigious or non-litigious side, unless they fulfil the requirement of the Advocates Act, 1961 and the Bar Council of India Rules. ii) However, there is no bar either in the Act or the Rules for the foreign law firms or foreign lawyers to visit India for a temporary period on a ‘fly-in and fly-out’ basis, for the purpose of giving legal advise to their clients in India regarding foreign law or their own system of law and on diverse international legal issues. Recently the Supreme Court was hearing BCI’s appeal against the 2012 Madras High Court order that allowed foreign lawyers to fly in and advise their clients. Challenge to a divergent view given by the Bombay High Court in 2009 is also pending before the Supreme Court, which was hearing the matter with BCI appeal. The two petitions have been pending in the Supreme Court for over five years. Bombay High Court verdict was challenged by Nakul Dewan representing Global Indian Lawyers Association in Lawyers Collective vs. BCI case. Other senior advocates representing various parties included Sajan Poovayya, Arvind Datar, CU Singh, Dushyant Dave and Guru Krishnakumar. The BCI counsel CU Singh complained that the act of the commerce ministry bringing in a foreign firm to draft a law bypassing it was not acceptable. BCI also objected foreign arbitrations being allowed to take part in Indian arbitration. The BCI is opposed to allowing the foreign law firms in India as their functioning is beyond regulatory regime. BCI’s objection was contested by senior advocate Dushyant Dave, who appeared for London Court of International Arbitration (LCIA), who said, “The simple reason why there can be no prohibition on International Commercial Arbitration is because it is voluntary mechanism and State has minimal role. A party can engage anybody to plead his case and that person need not be a lawyer. The person representing the party before the arbitral tribunal is called representative and not lawyer.” Dave also contented that any such prohibition will finish off arbitration in India and act as a dampener on investment. Government counsel Additional Solicitor General Maninder Singh said that the BCI should frame rules to open up the avenues for foreign lawyers and law firms. ASG said that if BCI was unable to frame such rules then the government will step in as the government does not lack jurisdiction to do so. The Bench commented, “Today’s world is a global village, you cannot insulate India. Is a total ban practical? Why not allow fly-in, fly-out? If you are sceptical, lay down regulations”. The BCI told the Court that it was ready to frame rules to allow foreign law firms in India on the basis of reciprocity. * Advocates Act,1961, deals with the practice of Indian law only. Practice of law under Sections 29, 30, 33 do not cover practice of foreign law. * Court should only consider whether an Indian lawyer can team up with a foreign lawyer in setting a liaison office in India. Court should not go about the functioning of the structures. * Foreign lawyers cannot advise on Indian law in India. They can only advise on foreign law of their respective jurisdictions of enrollment. * A foreign lawyer giving advise on foreign law in India should be regulated simultaneously by the law of the country he is enrolled as well as by Section 36 of Advocates Act. * BCI is empowered vide Section 36 of Advocates Act, to govern non-enrolled persons including foreign lawyers; hence the BCI if willing can formulate Regulations without asking the apex court to do their job. The Court after the exchange of final day’s marathon hearing on February 2, 2018, concluded the hearing reserving its verdict. However, apart from court proceedings, Lawyers Update talked to some eminent lawyers and found the divided opinions. There were some who were apprehensive with the probable arrival of foreign lawyers; others were in favour of their arrival but to the extent of fly-in and fly-out basis, with condition of reciprocity. Giving his views, renowned advocate, O.P. Saxena said that Advocates Act does apply to all law firms as it applies to individuals, for law firm is nothing but the group of lawyers, who all are enrolled with Bar Council. As such, these days many lawyers are practicing under the banner of some law firm. This way the law firm having varied expertise can take up multiple nature of cases of clients under one roof. It is therefore an arrangement for convenience. With regard to fly-in and fly-out service of foreign lawyers, Saxena agrees subject to reciprocity. The present debate can be rooted back to only 2012 with A.K. Balaji v. UOI. Here the Madras High Court held that in a phase and time of integrated and globalized world, it is important to have lawyers with expertise in foreign law. In pursuant to it, Bar Council of India started drafting rules that would allow foreign lawyers in India. Though this idea has been welcomed, given its nature and the large volume of work that it would entail, there are many ways that this would benefit India. Since India’s representation globally in the legal domain is limited, this indeed could change that and it would further allow Indian firms to widen their net reach to a larger number of companies globally. It has been estimated that almost 60,000 lawyers enter this profession every year, with almost 1.3 million advocates already enrolled, Foreign firms can play a fundamental role in creating space for them. The concept of liberalization in the legal domain is still new, and therefore, there is only limited awareness present about it. This thus raises eyebrows on the question of employability in these firms. Given the importance of the legal domain in India, the step would have huge consequential benefits. Section 47 of the Advocates Act allows India to negotiate for a beneficial position. Infact, it could even lead to an overhaul in the present situation of training and education, which is the need of the hour,” concluded K.T.S Tulsi. Another learned advocate, Naveen Kumar Jaggi said, “I vehemently feel that the entry of foreign law firms should be allowed in India, subject, however, to the condition of reciprocity. If foreign law firms are allowed to practice here, Indian lawyers should also be permitted to practice in the country of origin of the said law firms. In case, the laws of those countries do not permit Indian lawyers to practice thereat, alternatively, the foreign law firms must enter into an embargo that they would employ the Indian lawyers for chamber work, with the condition precedent that in case, the said foreign law firms have any legal matter relating to an Indian client, they would necessarily and mandatorily engage the Indian lawyers only for research work, paper work, chamber work, consultation and conferences. It may however sound strange to reveal that the phenomenon of engaging foreign lawyers is not all together new in India. The history of such an arrangement can be traced back to 1854, when Rani of Jhansi, Laxmi Bai engaged Australian lawyer John Lang as her representative before East India Company to fight her case against the annexation of Jhansi. The queen, Manikarnika, who was born in 1828, in a family of Brahmins in Maharashtra, took the name of Laxmi Bai after her marriage with the King of Jhansi, Gangadhar Rao Newalkar. After the death of the king, when Jhansi was annexed by British rulers, Laxmi Bai wrote a letter in Persian on gold paper to Australian lawyer John Lang to fight her case before the British throne. Lang took up her case but lost it. “Every man, however wise, needs the advise of some sagacious friend in the affairs of life.” – Plautus. FREEDOM OF SPEECH ASSAILED BY NATIONAL SEDITION? Is capital punishment murder of the murderer? THE #ME TOO MOVEMENT: Sunscreen for Skin Cancer?